Indian cuisine is known for its large assortment of dishes. 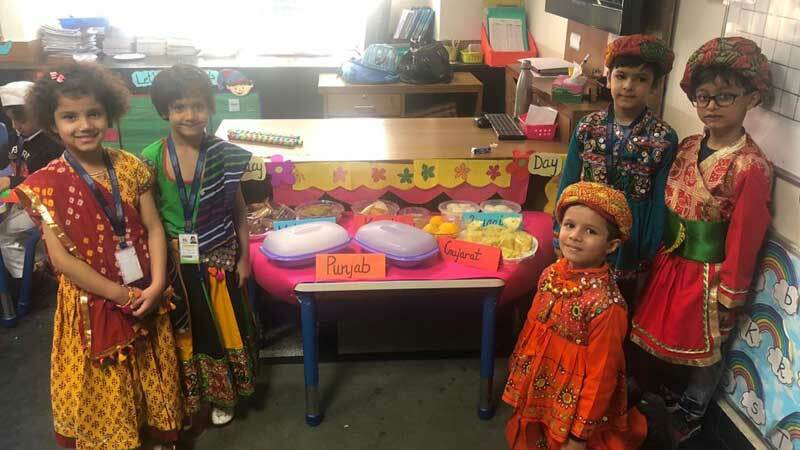 With the purpose of teaching all about food, “Delicacy Day” was organized for the Kindergarteners of MRIS-Sector14, Faridabad. 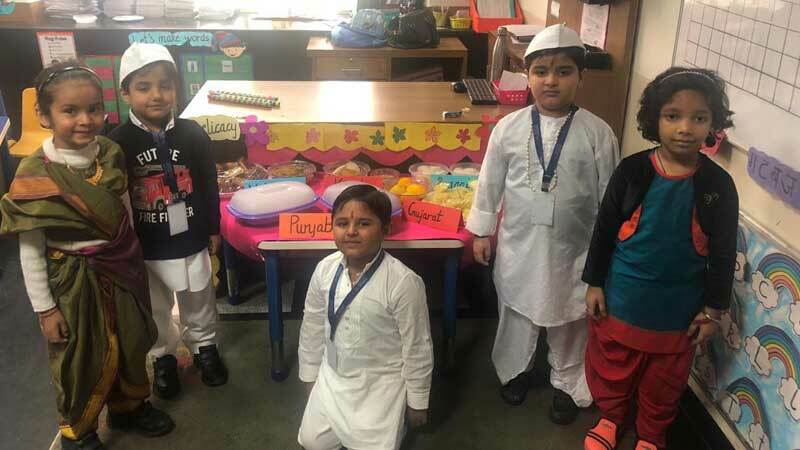 All the Kindergarten centers turned into different states as the students and teachers entered dressed in varied costumes representing different states. They were not only introduced to the customary greetings in various languages but also learnt about different types of dishes and their relevance. They also learnt about the nutritive value of the food and got the message that though people belonging to different religion and region eat different type of food yet they are united and have respect for each other. They shared their food with each other and enjoyed the day. Director Principal, Ms. Mamta Wadhwa and Vice Principal, Ms. Monika Kathuria were impressed by the efforts of the teachers and students and encouraged them with their words of appreciation.